“Climate change is already affecting the climate of the Great Lakes region and the physical behavior of the Great Lakes themselves,” said Don Weubbles, an atmospheric scientist at the University of Illinois and former assistant director of the Office of Science and Technology Policy in the Obama administration. 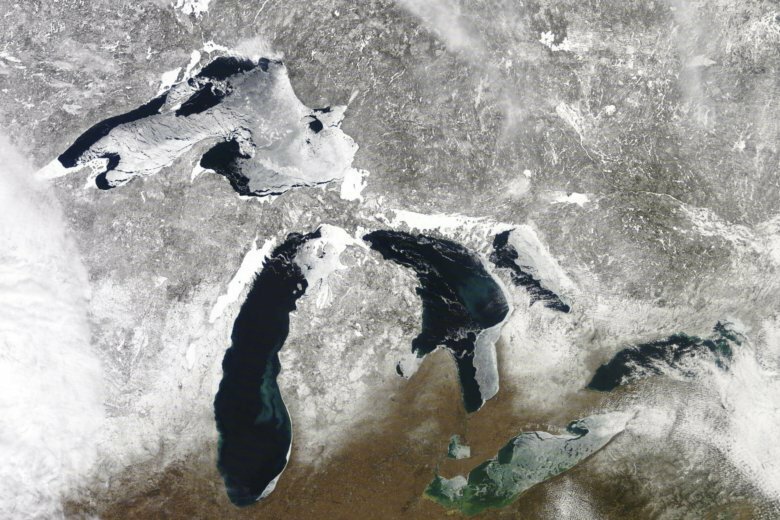 The Great Lakes hold about one-fifth of the world’s surface fresh water and are so large that they influence regional weather. They keep nearby lands cooler in summer and warmer in winter than those farther inland, while their humidity fuels “lake-effect” snowfall and summer rains. In addition to providing drinking water for millions of people, they are the backbone of an economy built on manufacturing, agriculture and tourism. Winter snowfall should decrease in most places, although locales accustomed to “lake-effect” squalls can expect them to dump even more snow — particularly along the Lake Ontario snowbelt in New York. The study did not include a cost-benefit analysis of a warming climate’s likely results. Several of the scientists said in a phone news conference there may be some bright spots but that the economic impact would be mostly negative. The region could have longer growing seasons, said Brad Cardinale of the University of Michigan’s Cooperative Institute for Great Lakes Research. But the report suggests that benefit could be offset by wetter springs that make it harder to plant crops, plus increasing drought and heat in summer. Corn and soybean yields are expected to drop 10 to 30 percent by the century’s end. Drinking water quality will be degraded by more releases of untreated sewage during heavy storms and runoff of nutrients that feed harmful algae blooms, some toxic. While such blooms are common on Lake Erie and portions of Lakes Huron and Michigan, they’ve also begun showing up in deep, frigid Lake Superior — an unprecedented development, said Lucinda Johnson of the University of Minnesota at Duluth. It’s uncertain how climate change will affect water levels in the Great Lakes, which already fluctuate periodically, the scientists said. Warmer temperatures will produce less ice cover, boosting evaporation and pushing levels down. But they could rise in years with especially heavy precipitation and temporary deep freezes caused by southward migration of frigid polar air.